A roundup of reaction to the Union’s humbling in Colorado, Philly takes 9,000 vote lead in WC host city vote, ticked off Canadians, WPS news, how CONCACAF is killing USA v Mexico rivalry, more on the suit against US Soccer, today’s Footy on the Telly and more morning news. Where’s my cup of tea? Four days after recording their statistically biggest win ever, Philadelphia Union suffered their worst loss ever with a 4-1 defeat Wednesday to the Colorado Rapids. Not terribly surprising after having to flying across the country to play a game at altitude on less than four days rest. Among other things. 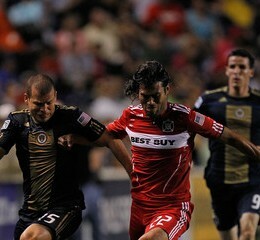 The Union need a win tonight against the Colorado Rapids to keep their slim playoff hopes alive. The Rapids need a win if they want to clinch the 8th playoff spot. PSP previews. Sebastian Le Toux is your favorite player, whether you know it or not. Find out why. Check out the first of our “Raves,” a series in which PSP’s writers each pick out one Philadelphia player to rave about and tell you why you should love them too. We roundup previews of tonight’s match against the Rapids, toss with some nonsense from the local papers, mix in some local college and high school results, bake with some US soccer news, top with some bits from elsewhere and serve with a side of what games are on TV today. Voila! PSP photographer Nicolae Stoian has more of the action from the Homeless World Cup in Rio. Danny Mwanga is the featured guest on KYW’s Philly Soccer Show this week. Mwanga talks about his injury, improving his game, playing for the U.S. national team one day, and the best defender he’s faced this year. Co-hosts Greg and Dan also talk about the Union’s playoff chances and the Independence’s great run to the WPS title game. Scores from Philadelphia’s United Soccer League this past weekend. 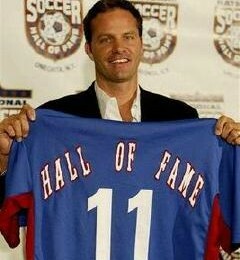 Eric Wynalda is going to Mexico, Sheanon Williams is going places, USSF is going to look bad, Danny Bonaduce is going in the Delaware river, and the Confederation of African Football is going to the ninth circle. 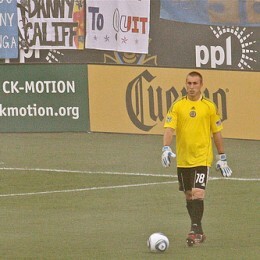 PSP has photos from Saturday’s big win by the Philadelphia Union over Chivas USA.